Mobi Cleaner WILL HELP YOU! The best speed booster, data booster, game booster, junk data cleaner, trash cleaner, battery optimizer and app manager for your phone or tablet is here! Mobi Cleaner will help you to delete, move, back up, install or do any other operations with apps, games, other files and so on. Optimize your phone memory or storage with this ram and cache cleaner! Boost the work of the battery with Battery Charger Booster! BATTERY SAVER, ANALYZER and DOCTOR. 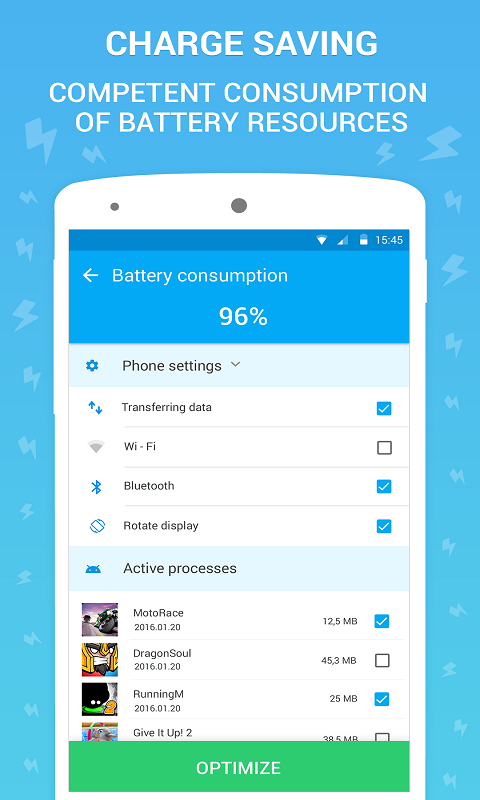 You can use Mobi Cleaner like battery doctor to optimize your battery in one touch. Easy task killer can search and kill all hidden unnecessary processes and optimize battery life! Clean ram memory, app cache and trash in one click to have more free space on your device. How? Use the easy Cache Cleaner in Mobi Cleaner! 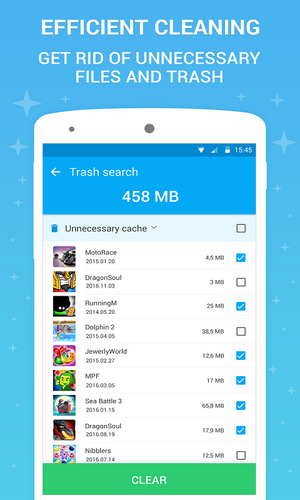 Quick Cache cleaner is absolutely free in Mobi Cleaner. Transfer apps, games or files, move it to SD card easily! Sort files in the way you like, be date, size or name with smart task manager in Mobi Cleaner. 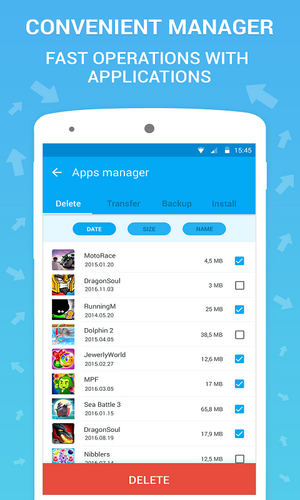 App manager will move to sd card all apps you want in one tap. 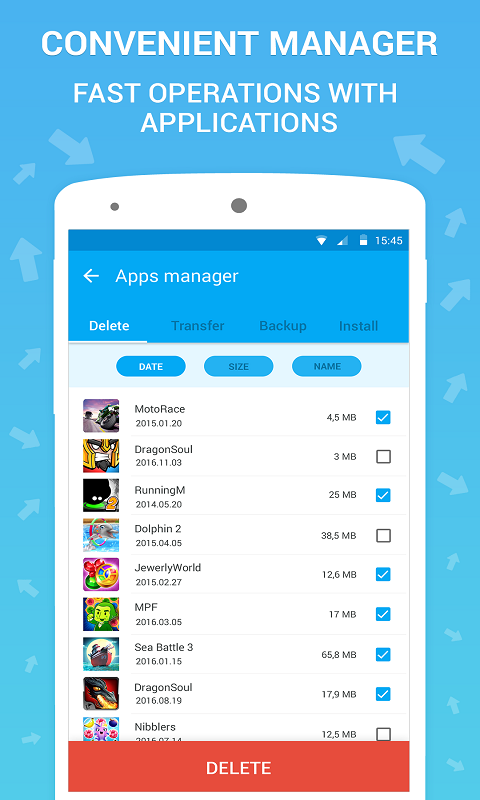 Use app manager for moving internal storage apps to external sd card! PHONE & BROWSER HISTORY OPTIMIZER. 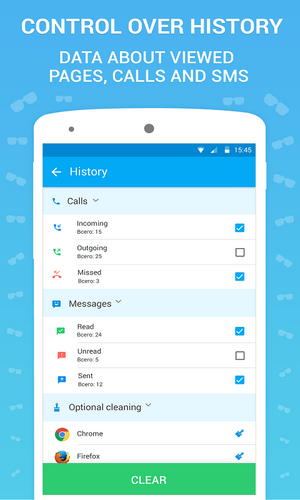 You can clean up the internet browser history, calls and SMS in one click in one place. All you have to do is opening of Mobi Cleaner! After the installing you will have the best junk file remover, trash cleaner and speed booster, advanced task manager in one app!